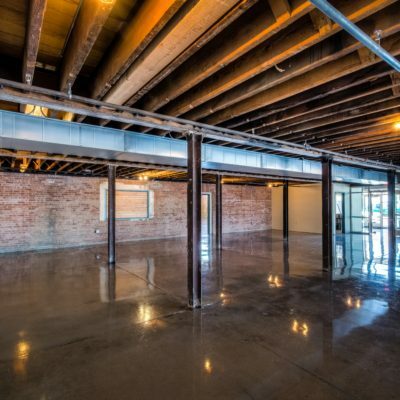 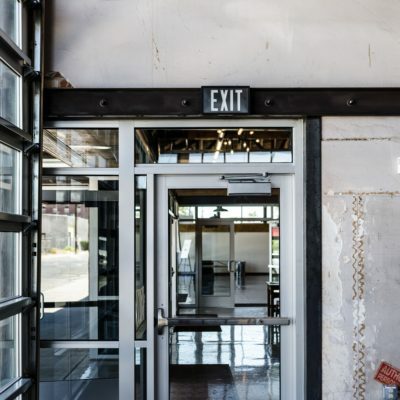 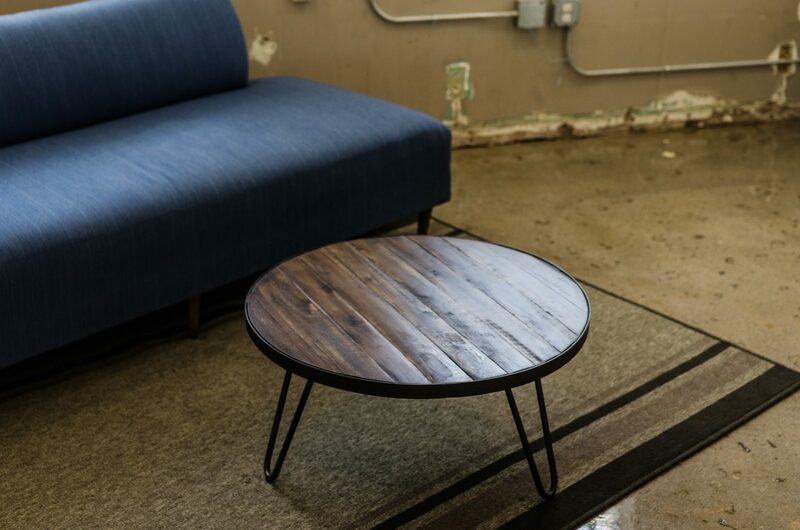 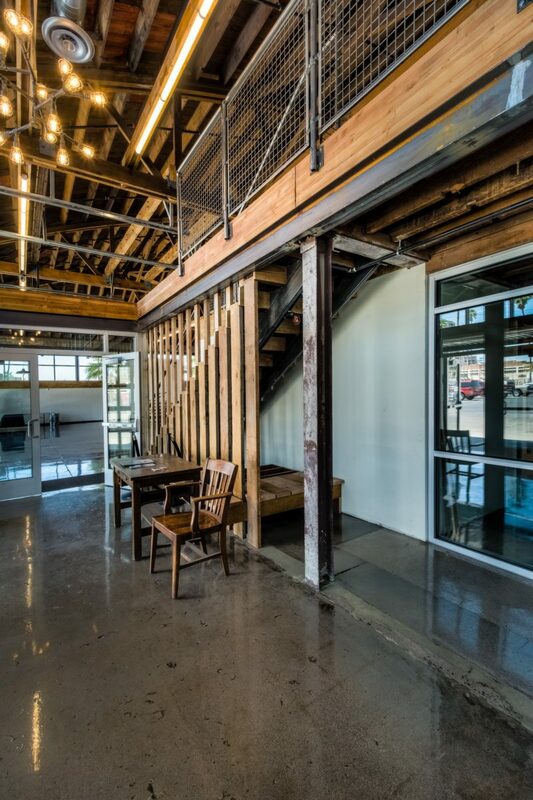 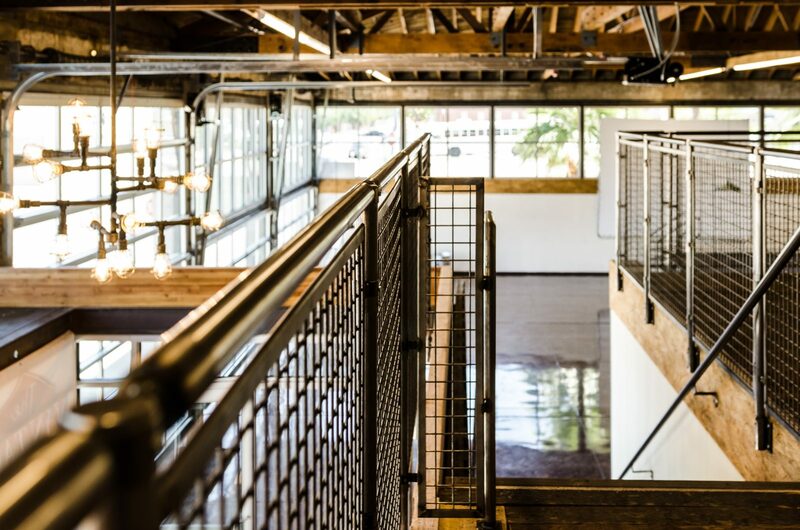 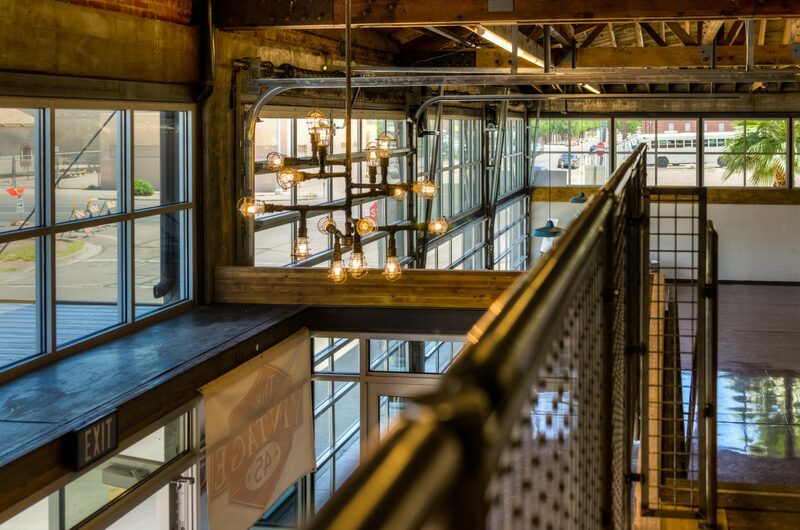 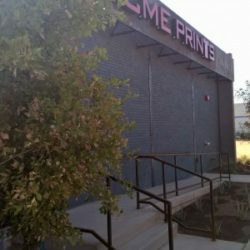 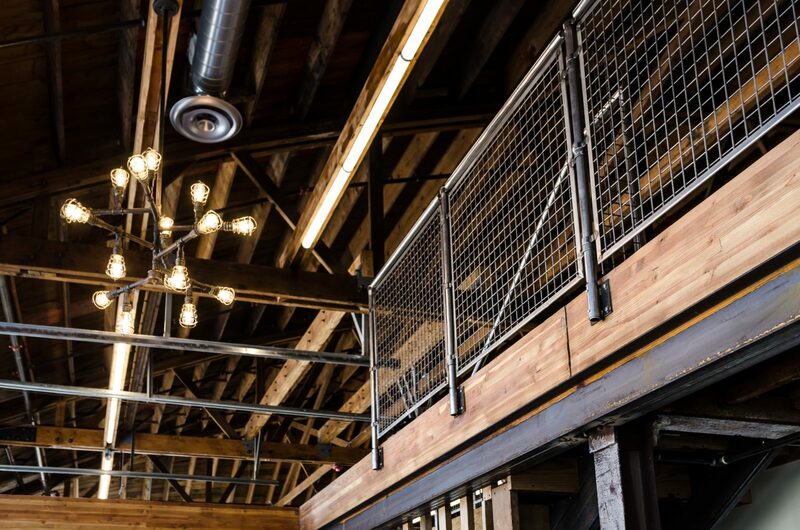 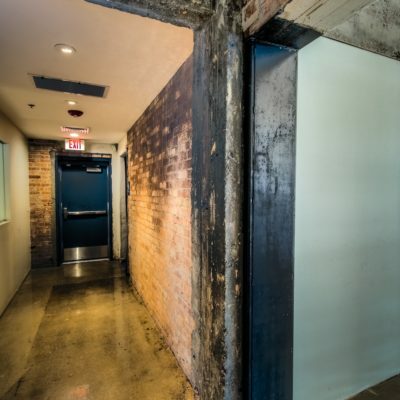 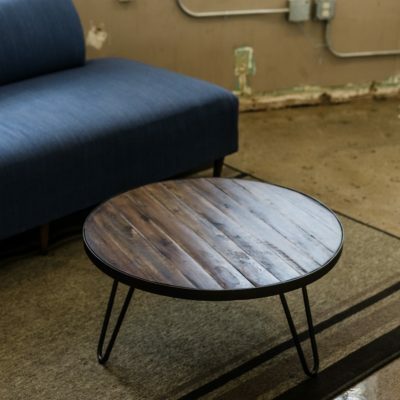 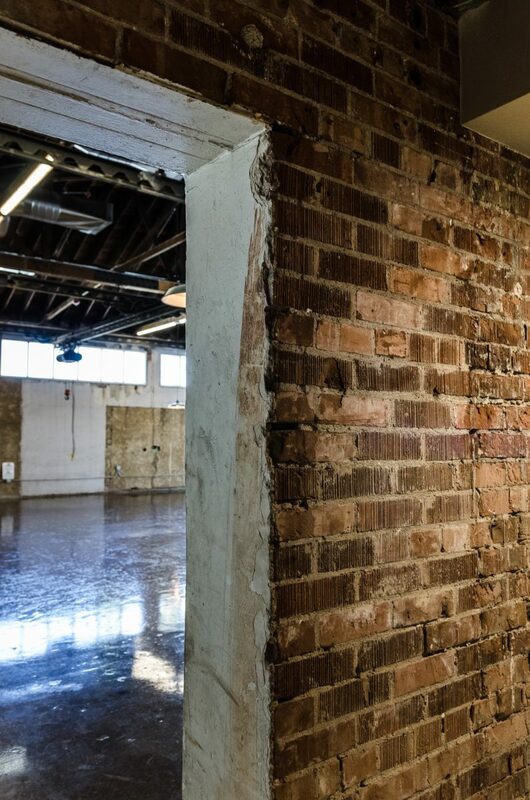 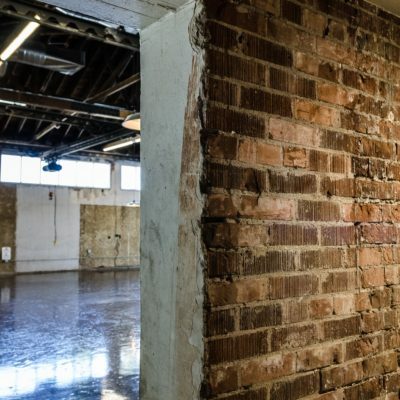 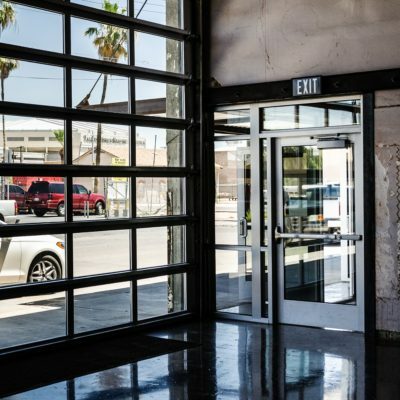 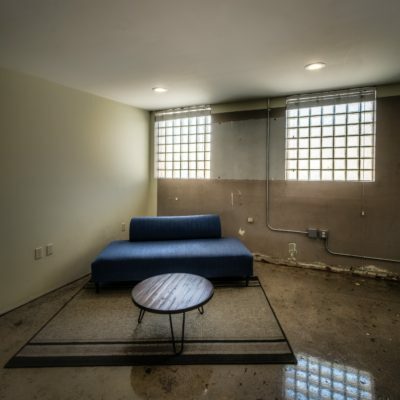 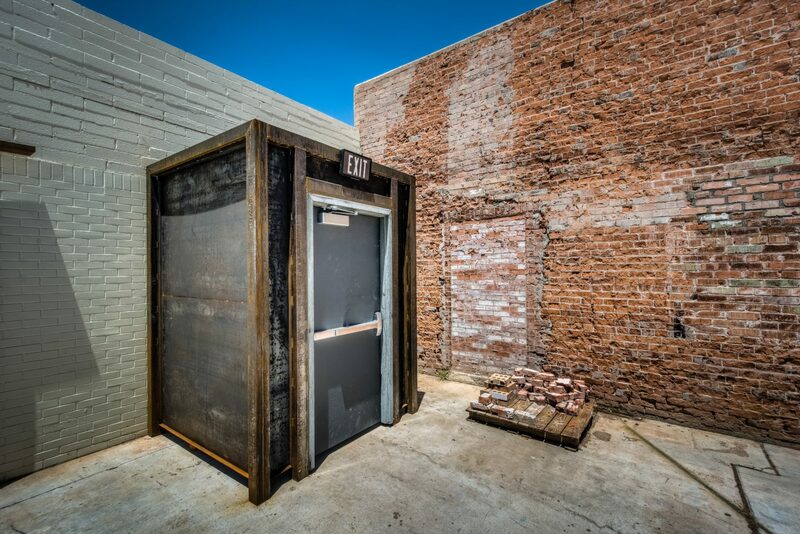 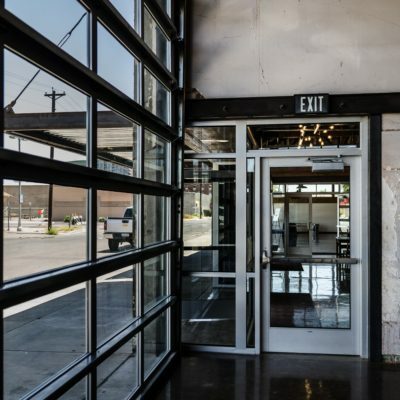 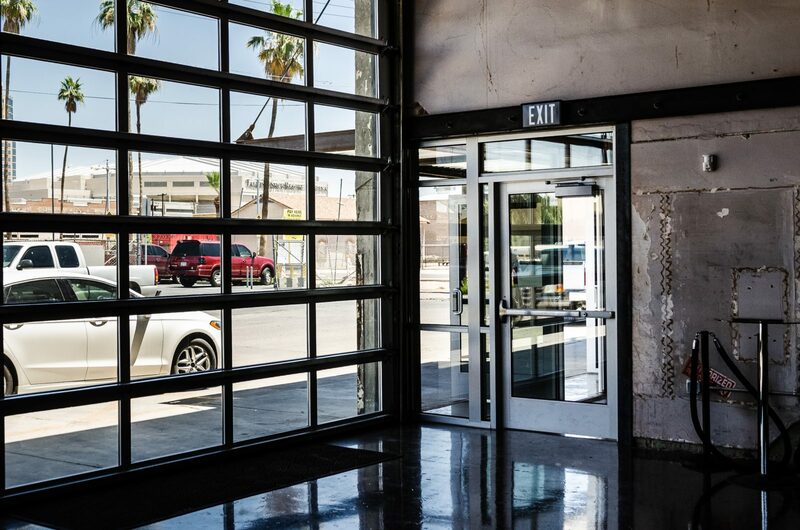 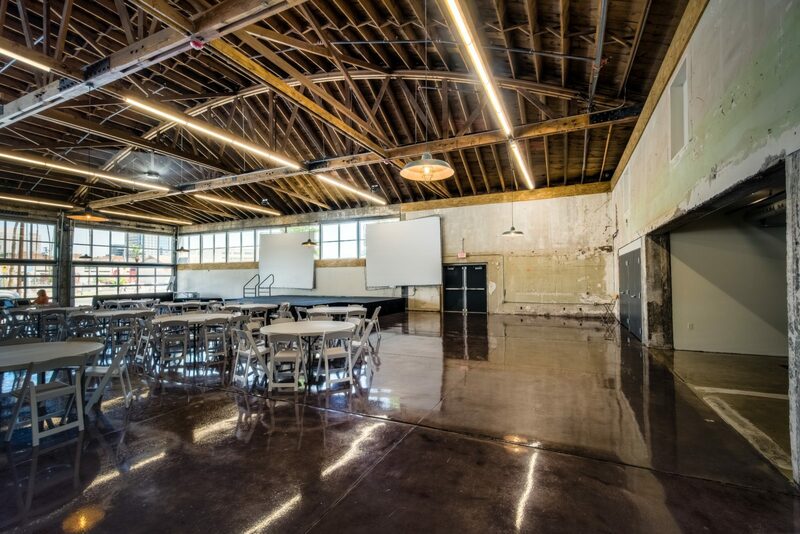 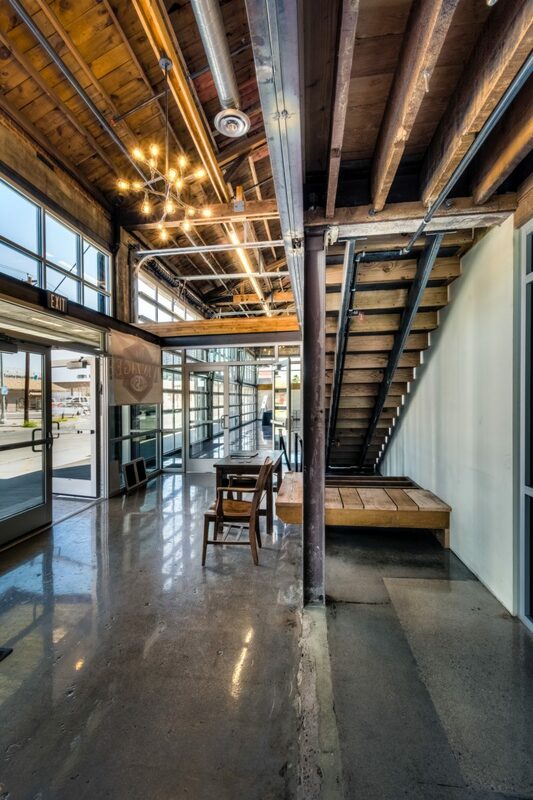 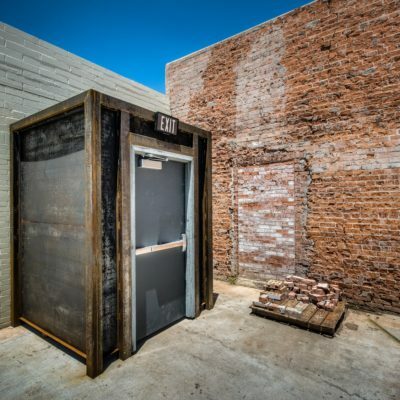 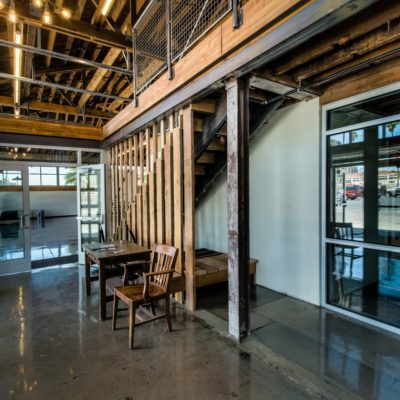 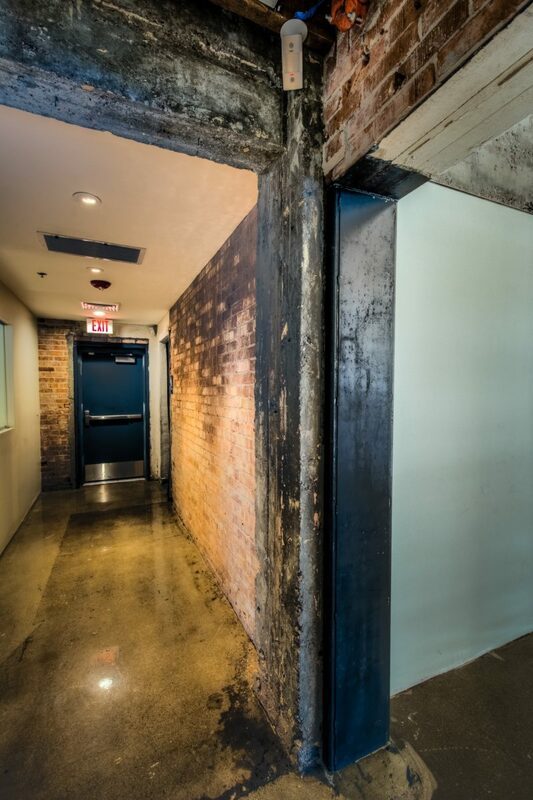 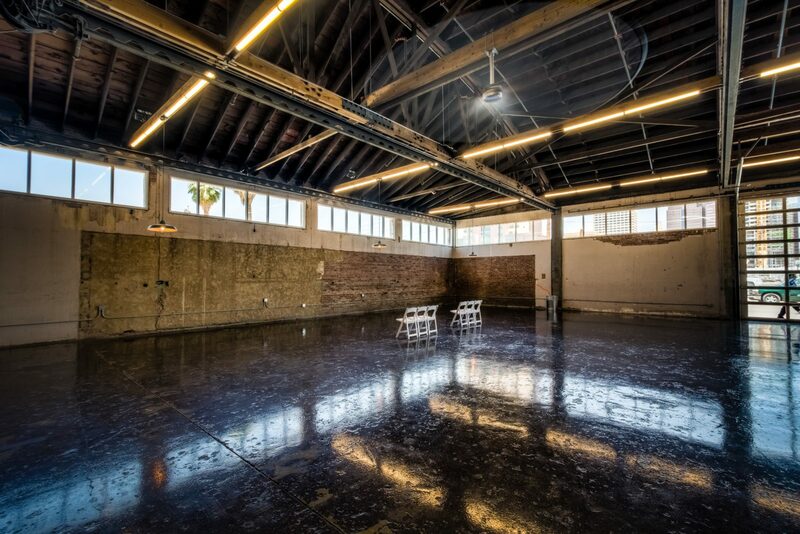 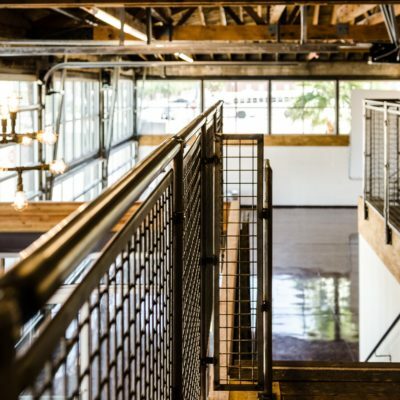 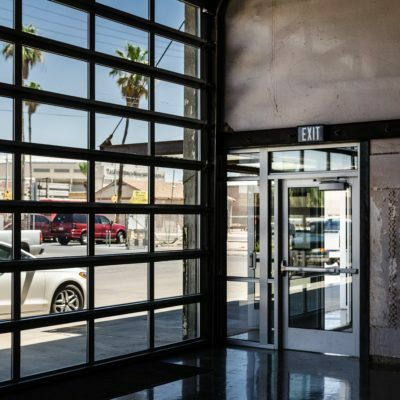 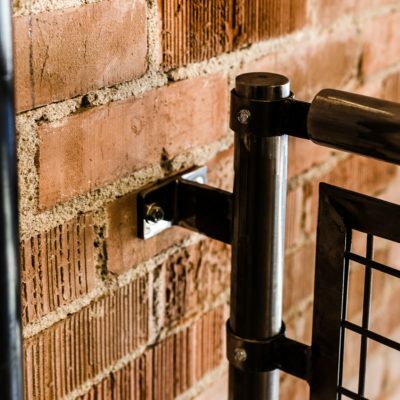 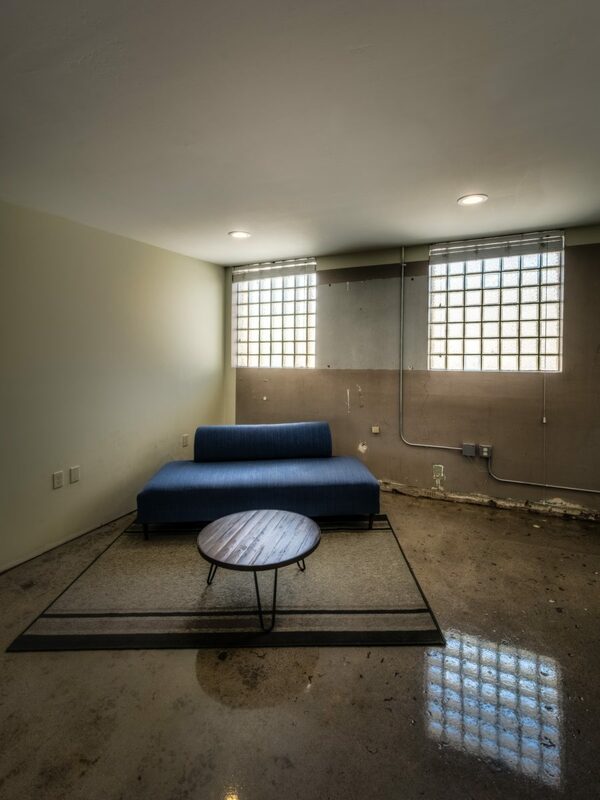 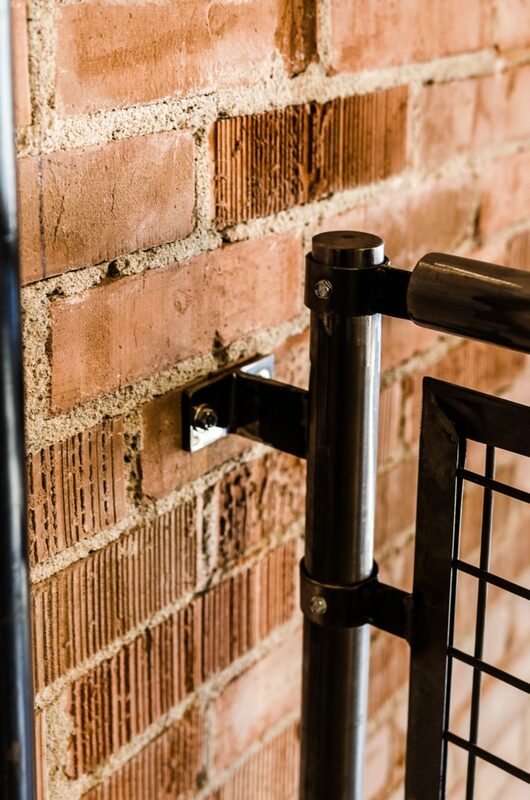 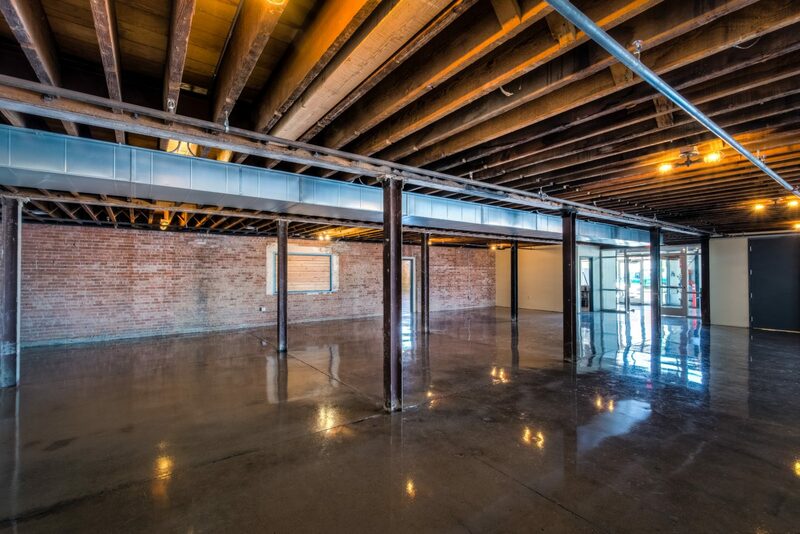 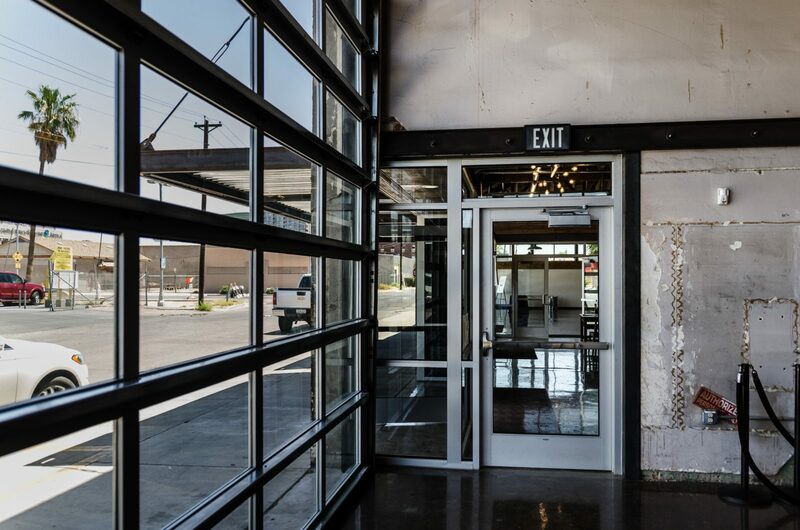 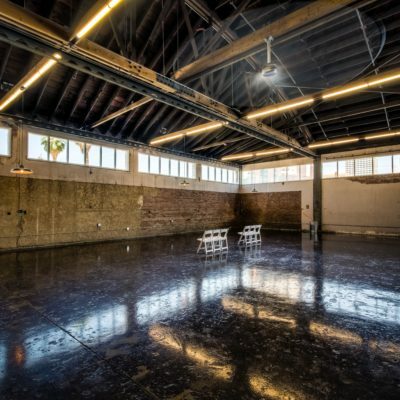 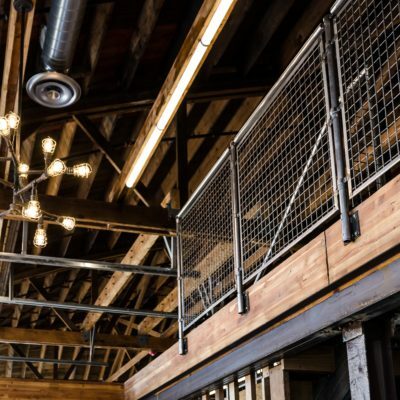 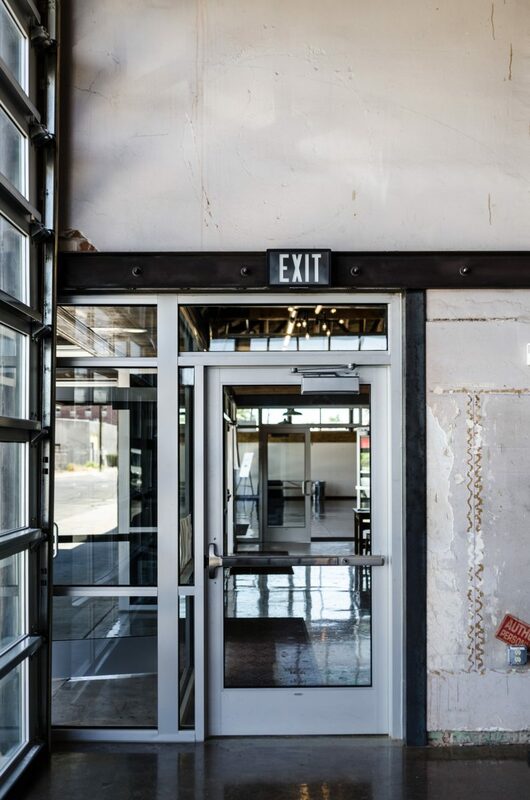 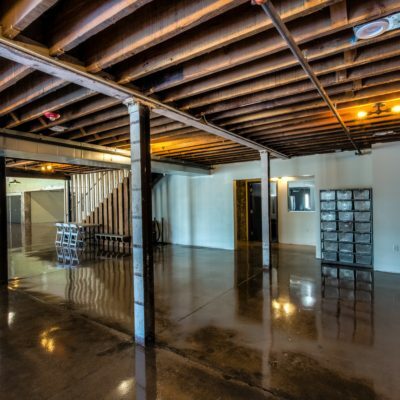 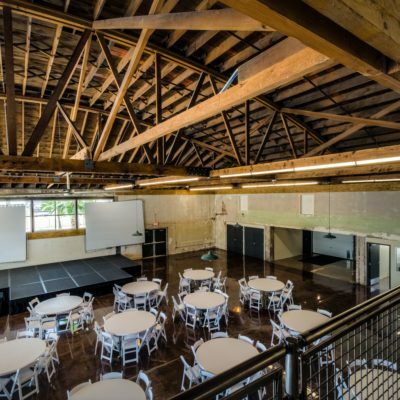 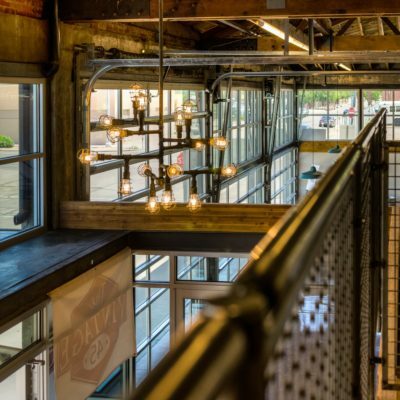 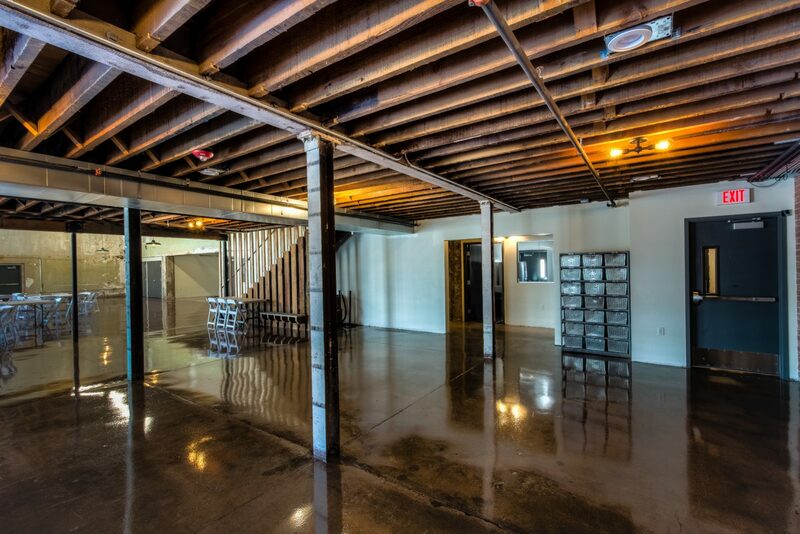 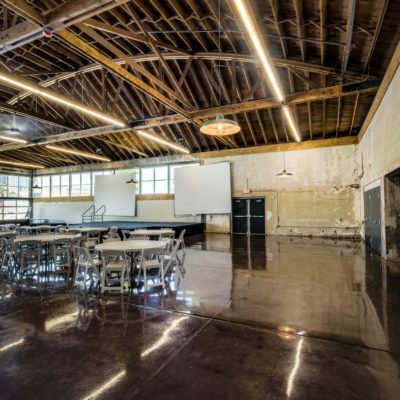 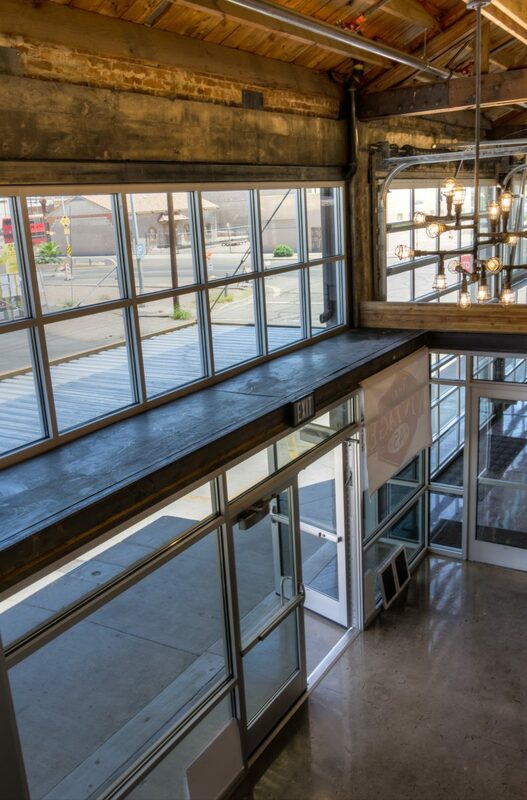 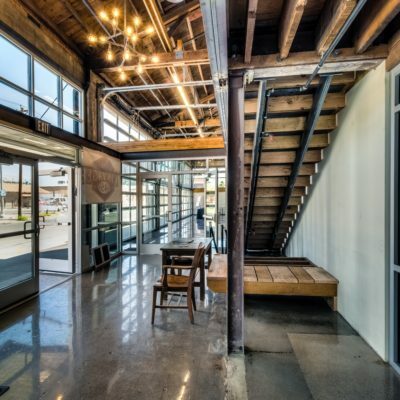 The Vintage 45 project was a largescale adaptive reuse renovation that transformed the historic Neil B. McGinnis Building into a modern, multi-purpose event and community space in downtown Phoenix’s burgeoning Warehouse District. 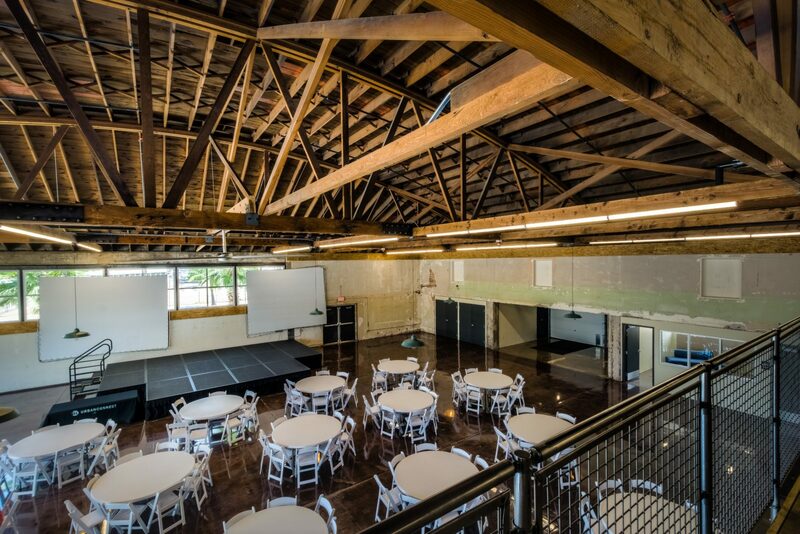 Working with Orcutt Winslow Architects, the goal of the open warehouse design was to preserve the original, historic character of the building, while making it fit for use as a venue. 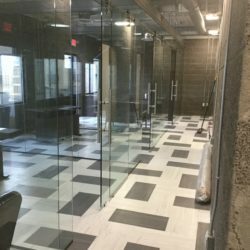 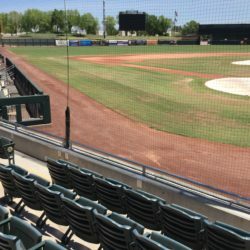 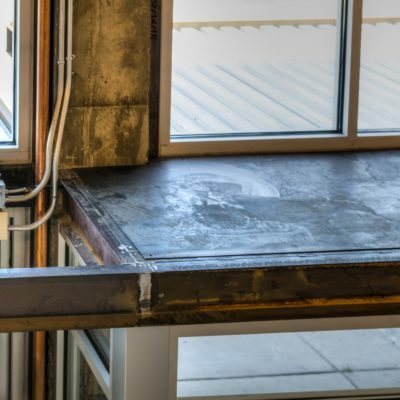 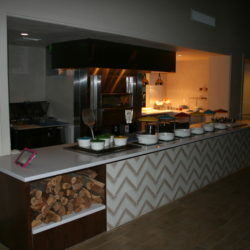 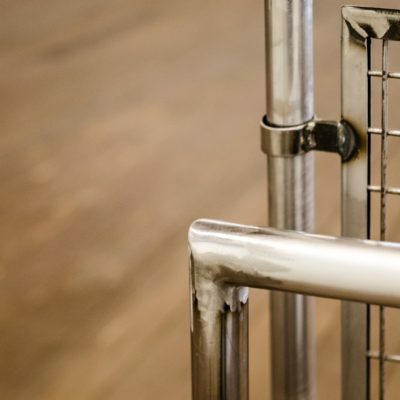 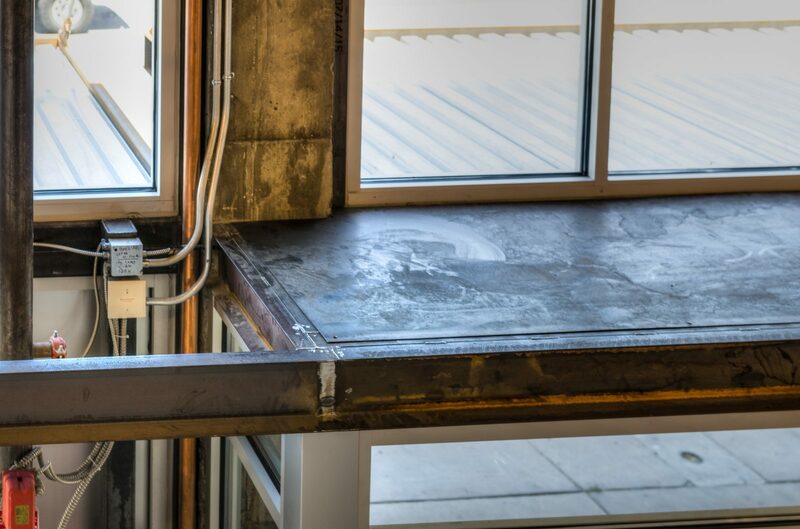 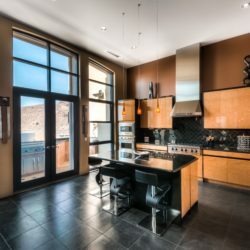 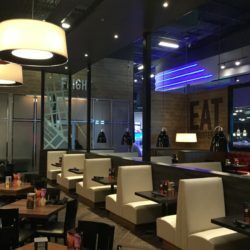 The interior of the building was re-engineered and re-shored to comply with current building safety codes, ADA access and modern energy efficiencies. 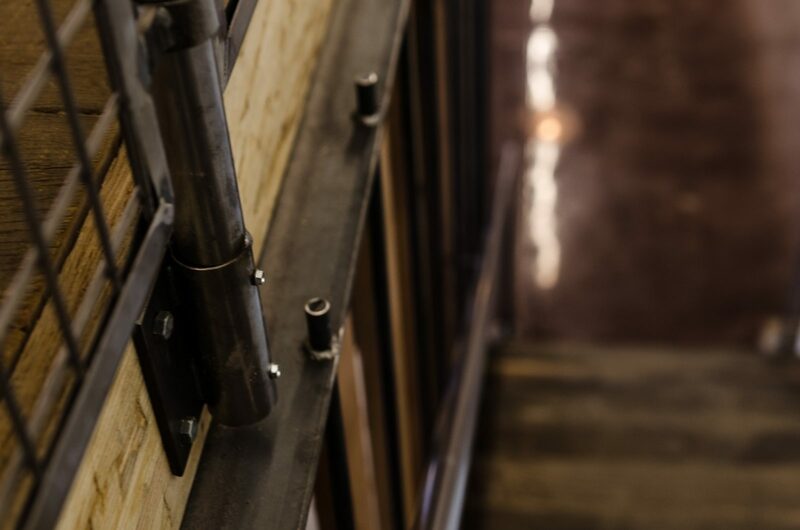 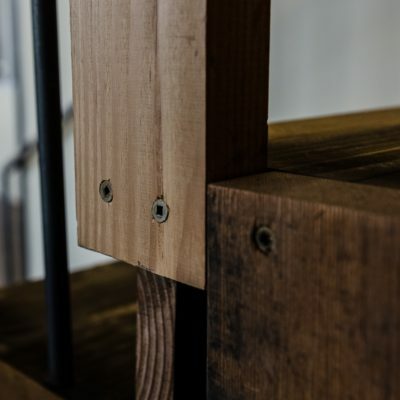 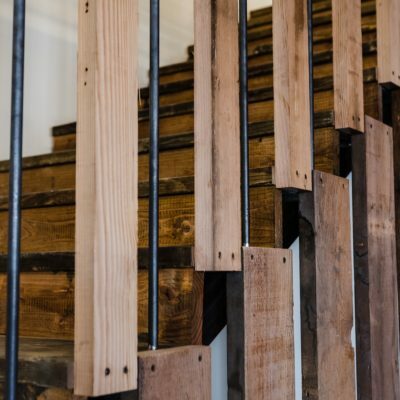 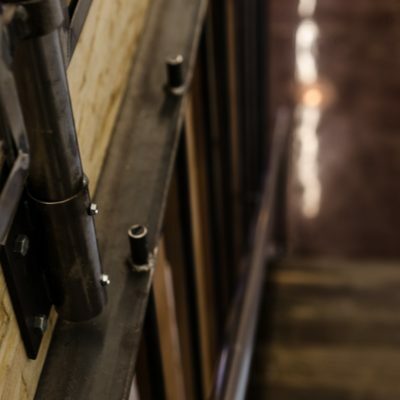 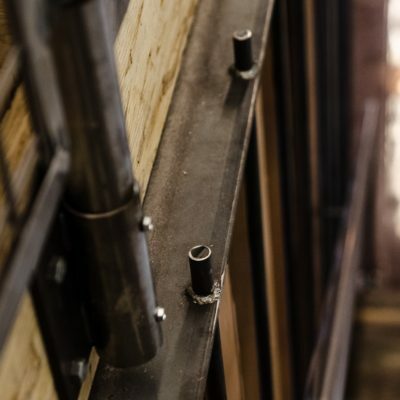 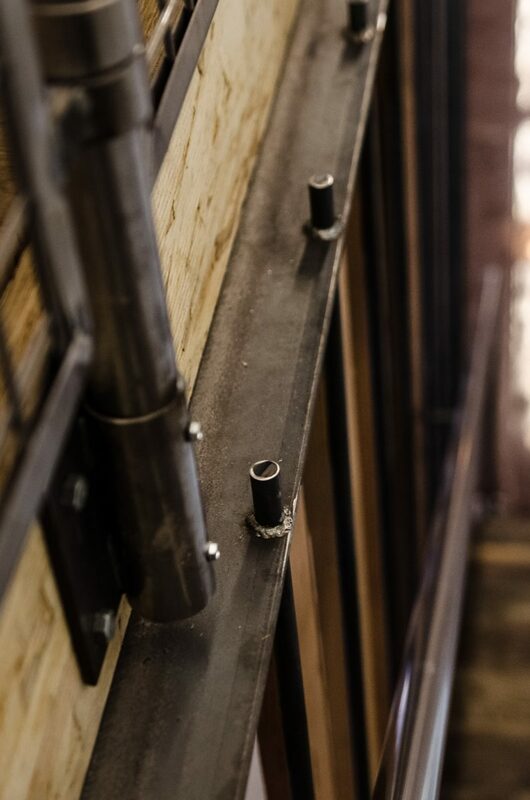 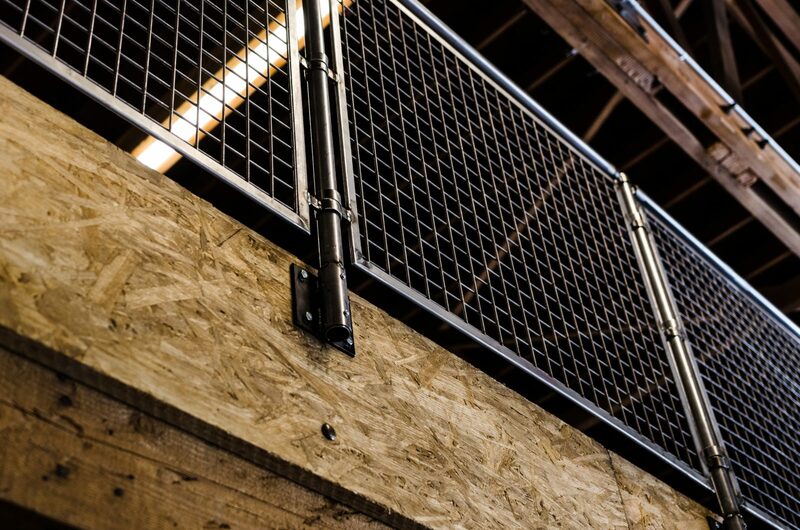 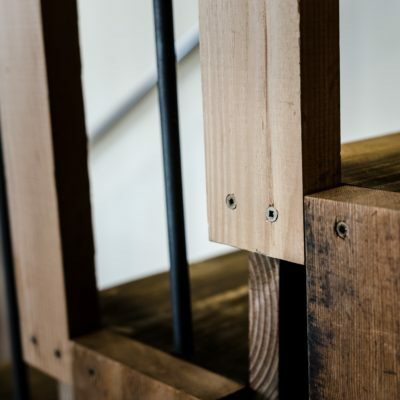 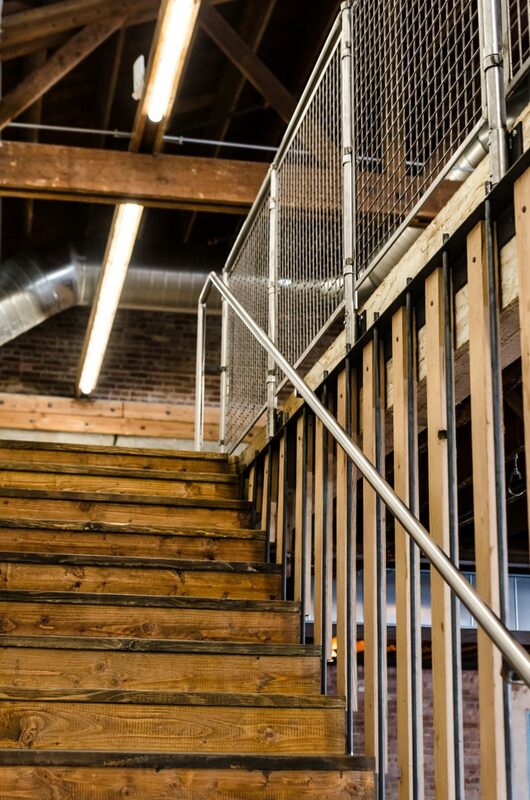 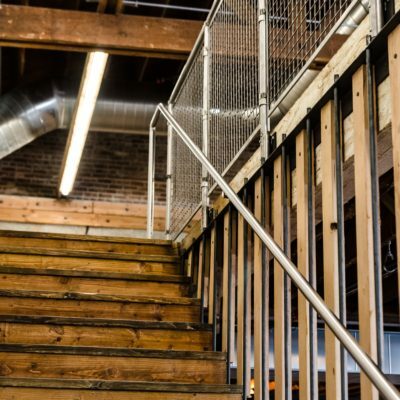 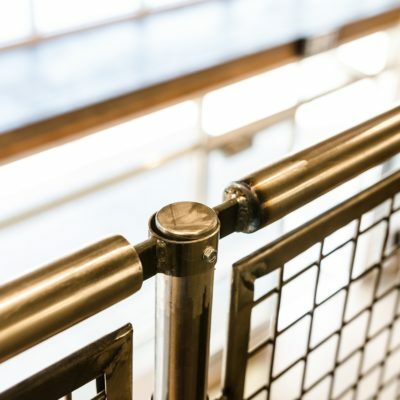 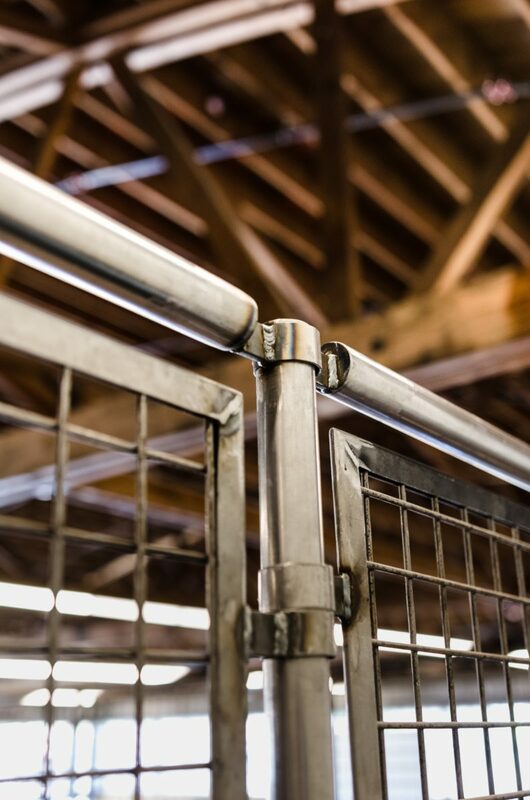 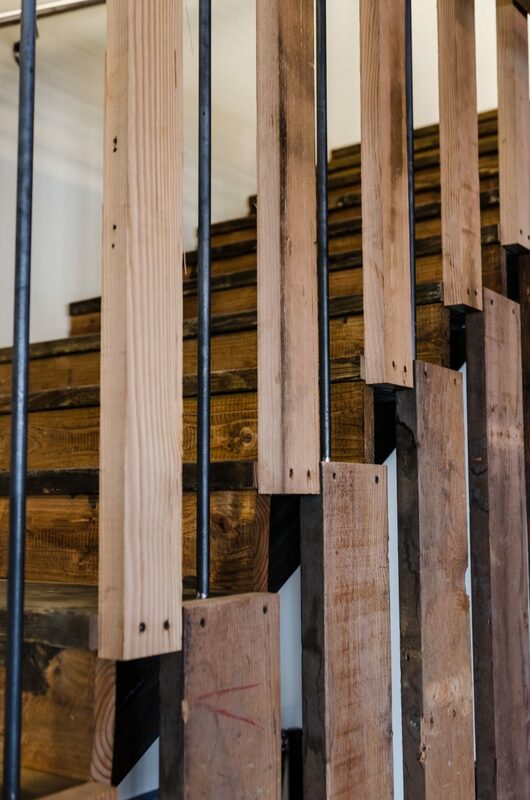 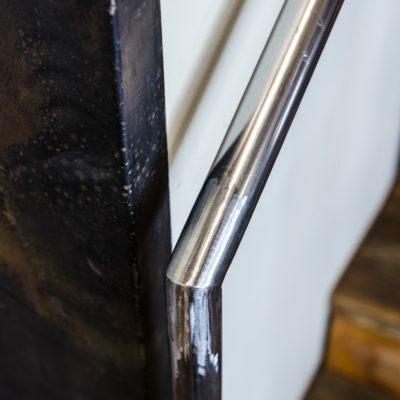 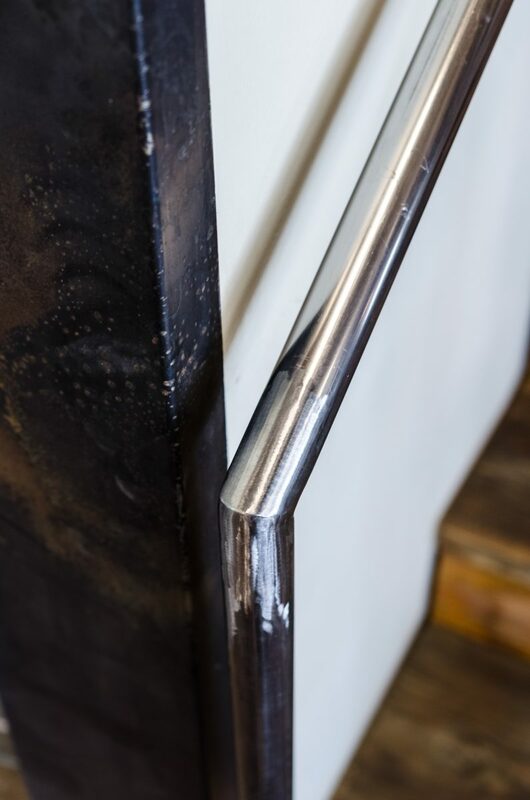 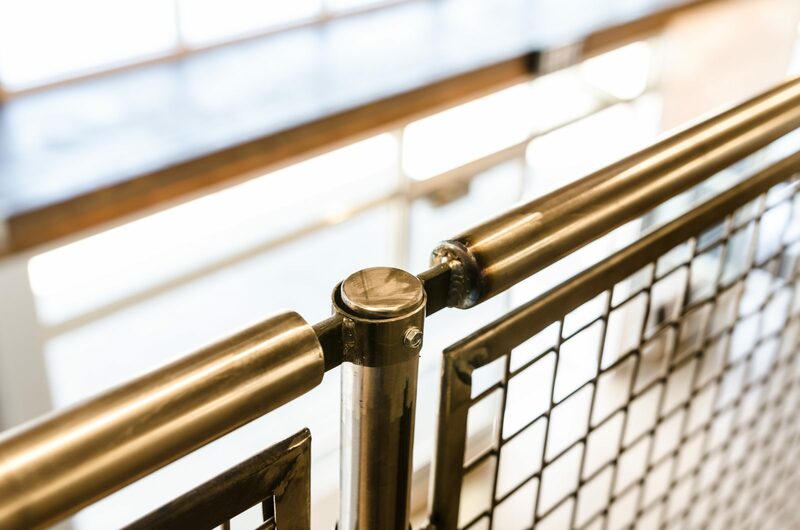 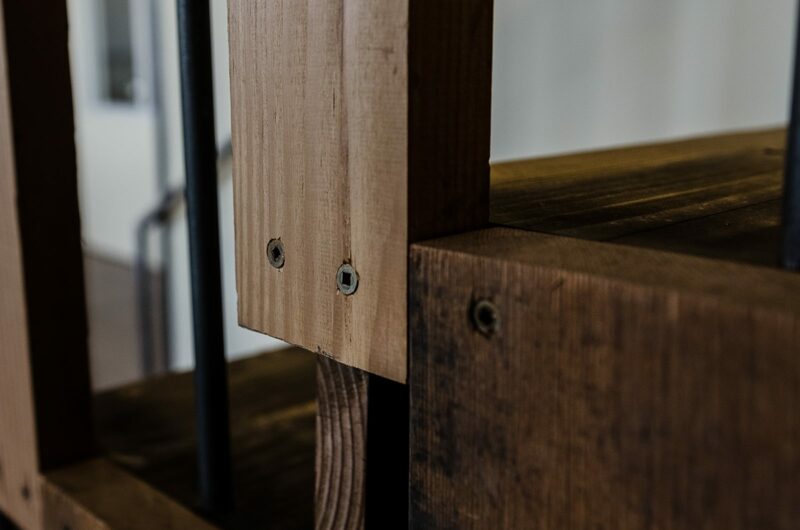 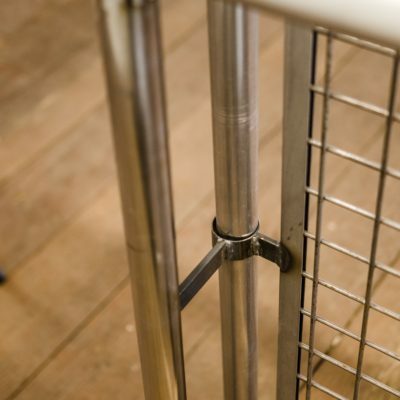 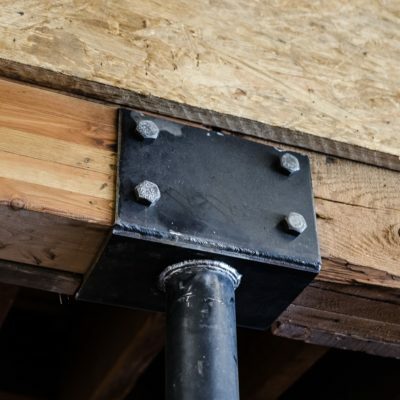 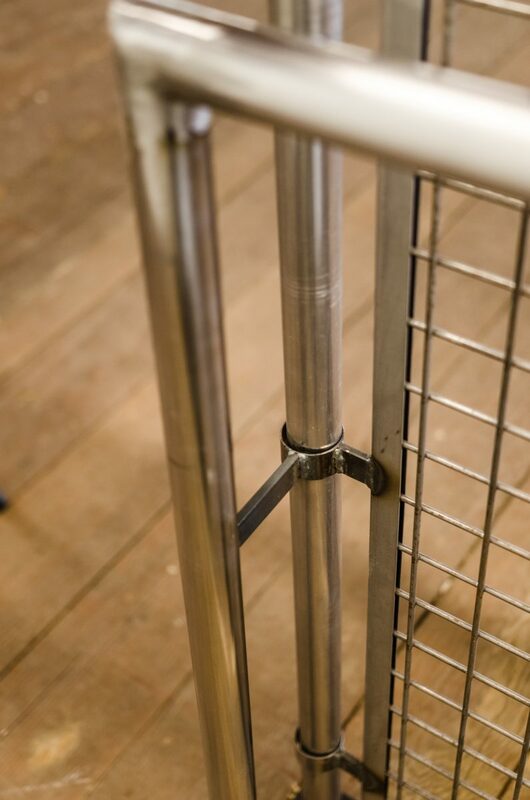 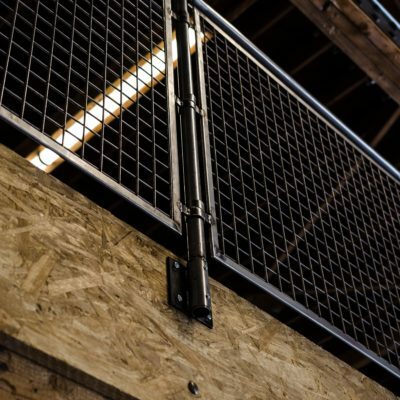 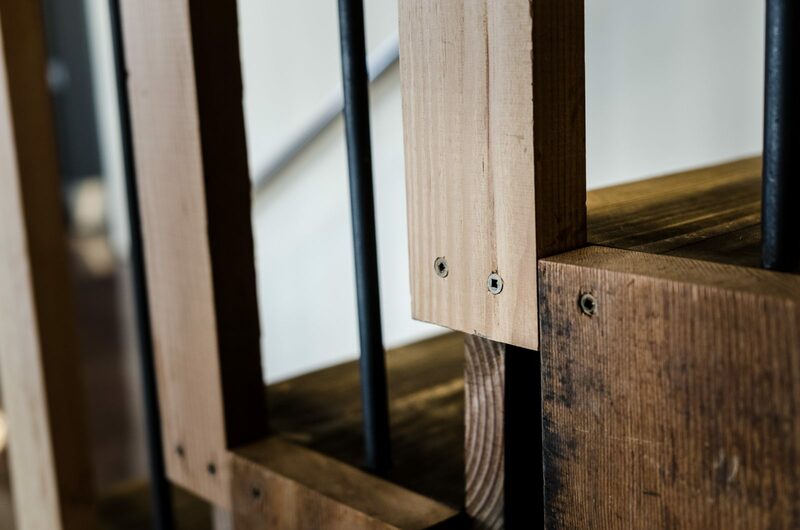 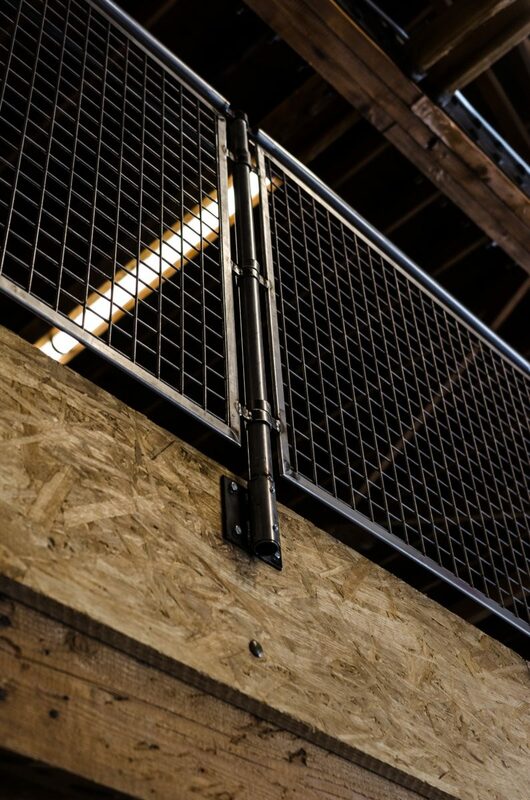 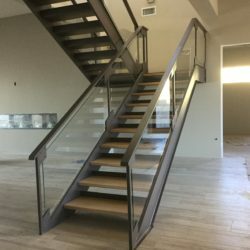 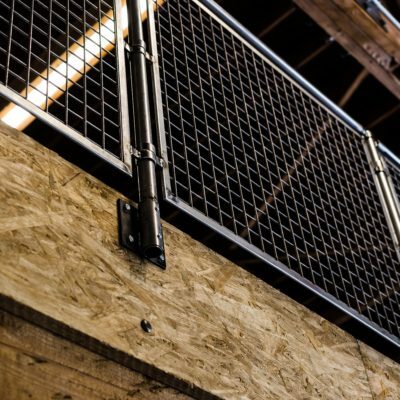 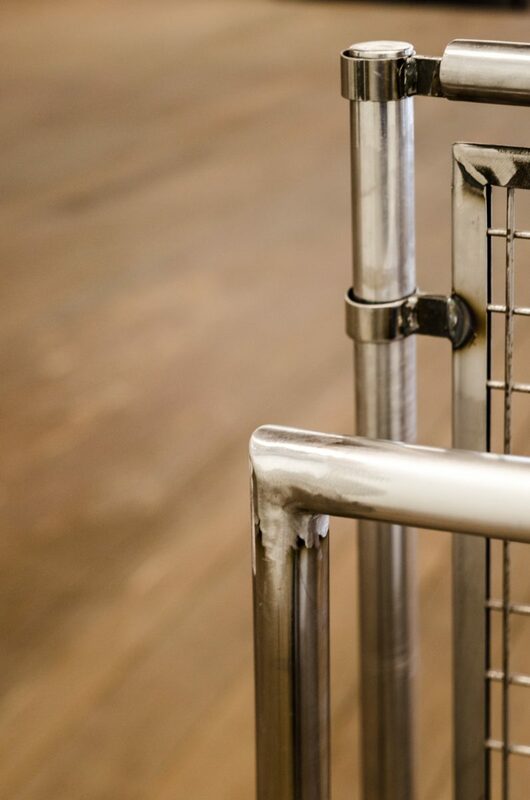 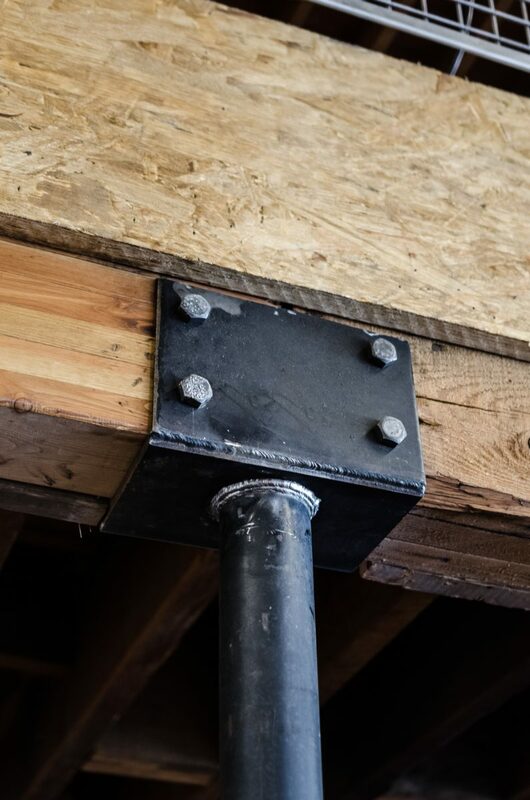 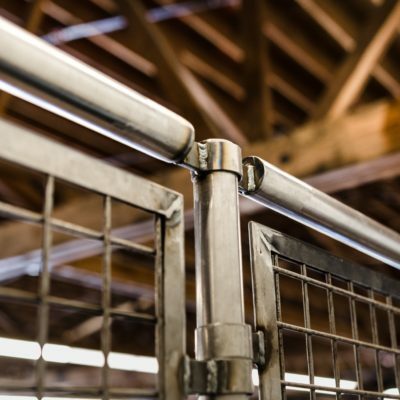 The staircase was hand crafted with reclaimed wood that leads to an upper deck that is constructed with cold-rolled steel railings and open mesh steel inserts. 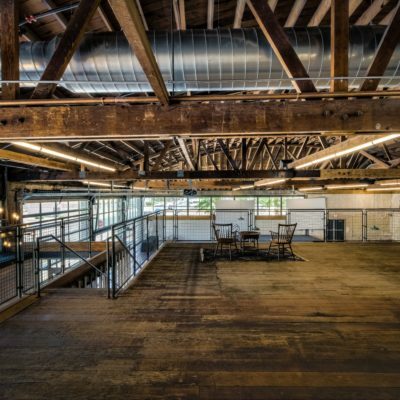 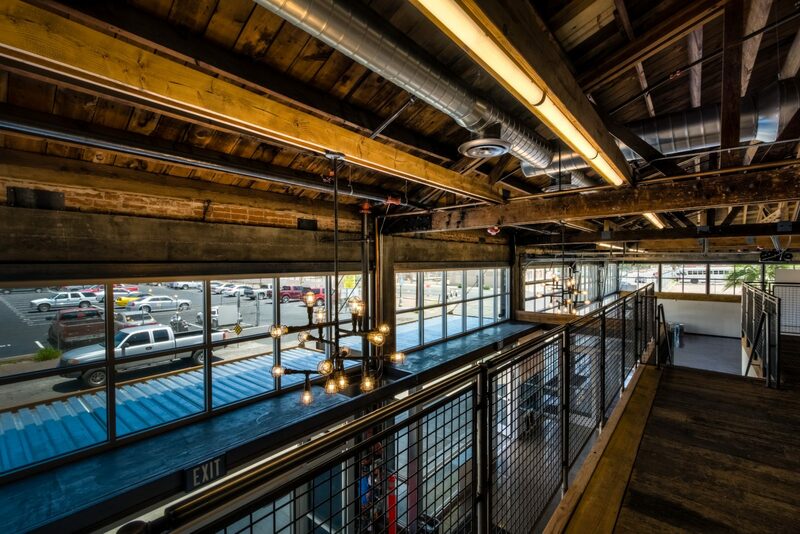 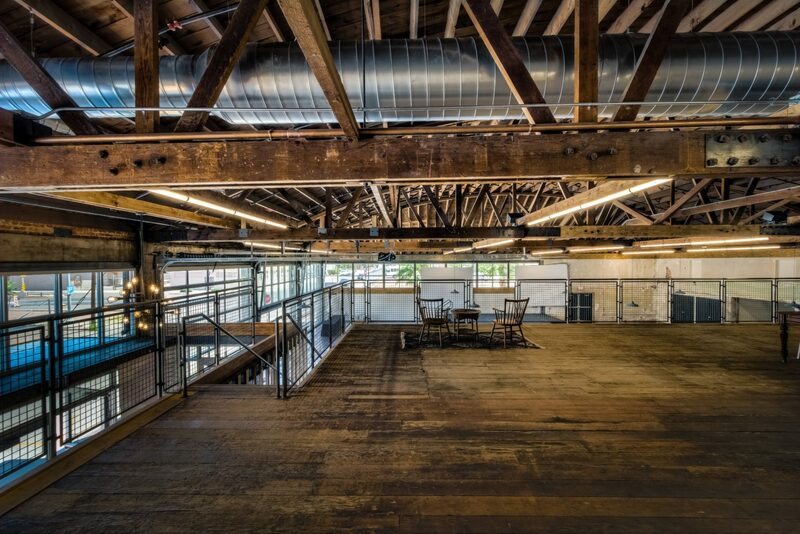 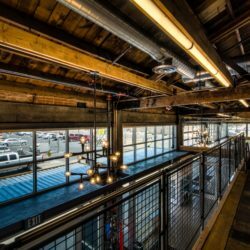 The ceiling’s exposed beams accentuate the open warehouse feel of the space while helping to conceal millions of feet of updated electrical wiring, plumbing and support systems. 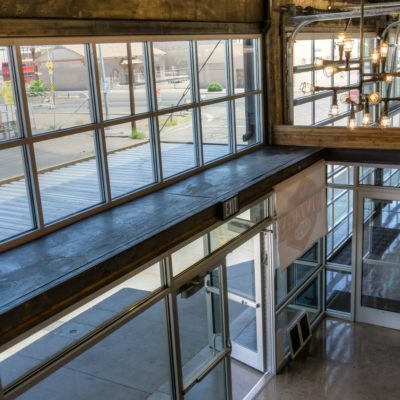 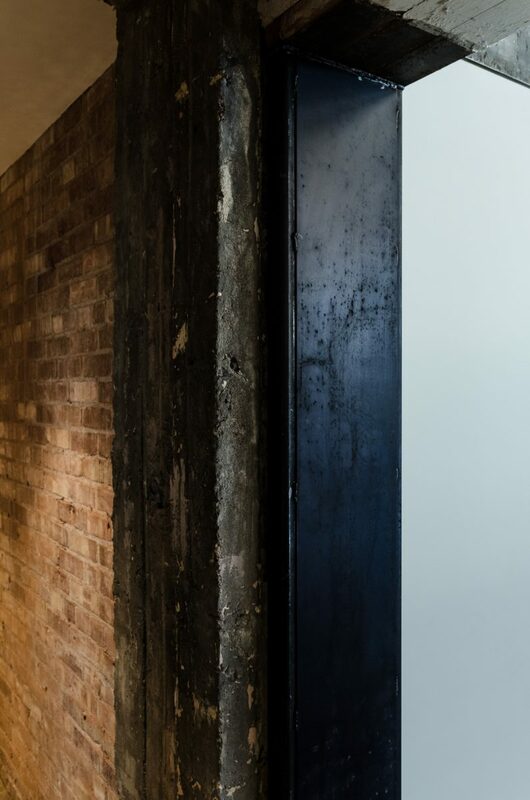 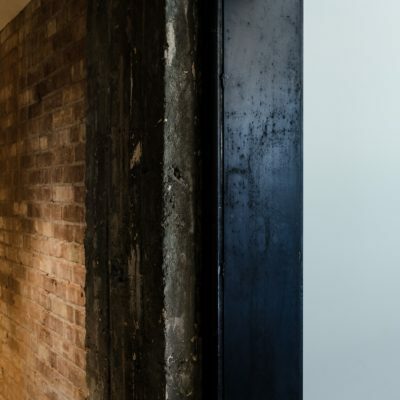 The structural storefront supports sheer strength with an open window design that runs the length of the building and fills the space with warmth and light. 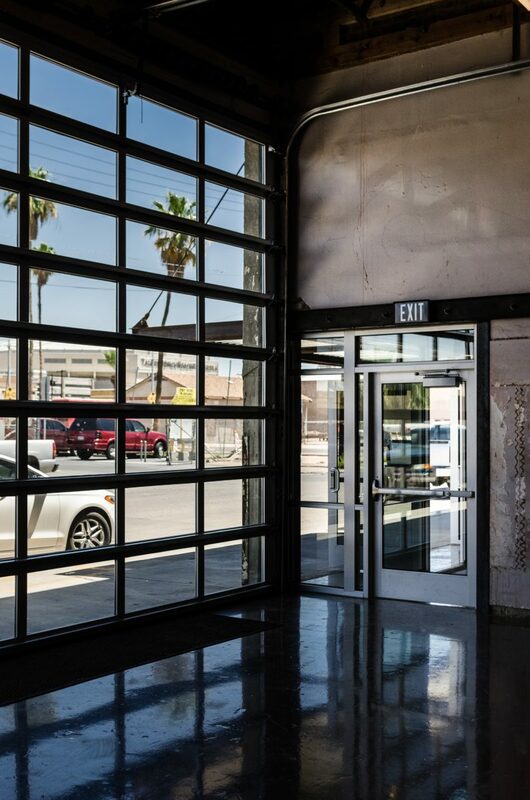 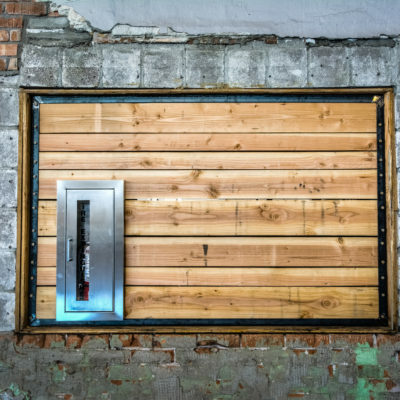 The historic building’s street façade was also given new life. 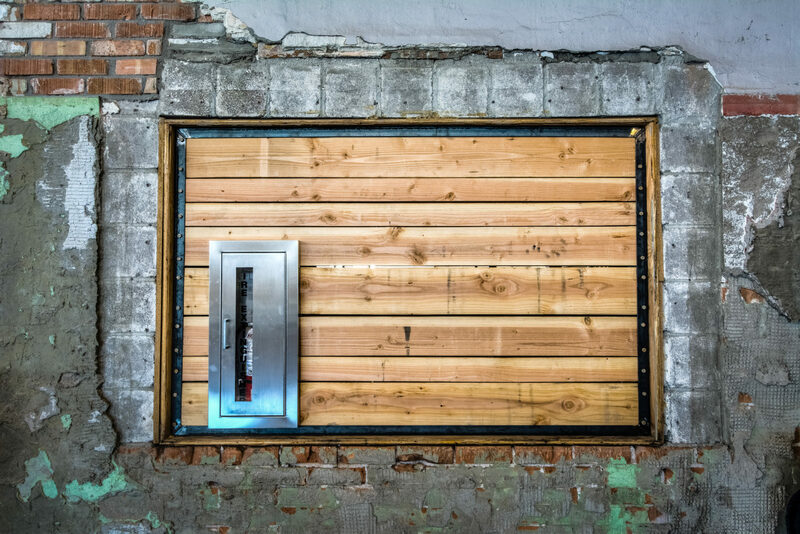 The original exterior brick was exposed revealing ghost lettering from the original McGuiness Building sign. 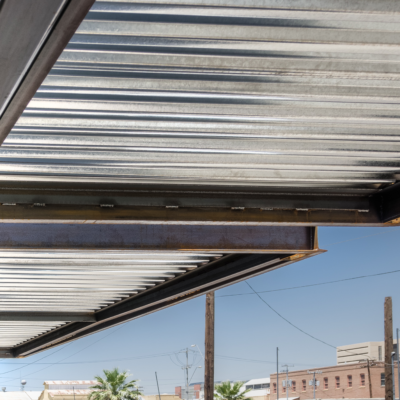 A c-channel structural steel awning with built-in gutter system protects the entrance from weather, while adding to the contemporary warehouse design.